You can email us if you are interested in having your name added to a puppy list. We are very proud of our line of Livestock Guardian Dogs (LGD). They mature quickly and have a nice medium length coat which works pretty well with our hot Georgia weather. Our LGD's are a cross of Great Pyrenees and Anatolian Shepherds. Duchess our female has a brindle color that I think makes her very beautiful. They are exceptionally good dogs with Chickens, Goats, Cows, and Cats and we have had no livestock losses to predators during their employment at our farm. We raise about 1 litter per year. 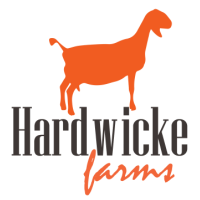 If you are interested in a working puppy please email us at hardwickefarms@gmail.com and we will add you to the list of interested parties.